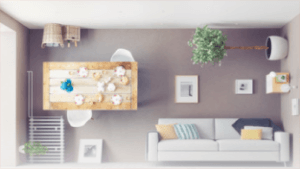 Have you heard of Marfa? The mysterious moniker is the name of an innovative creative community in Texas. 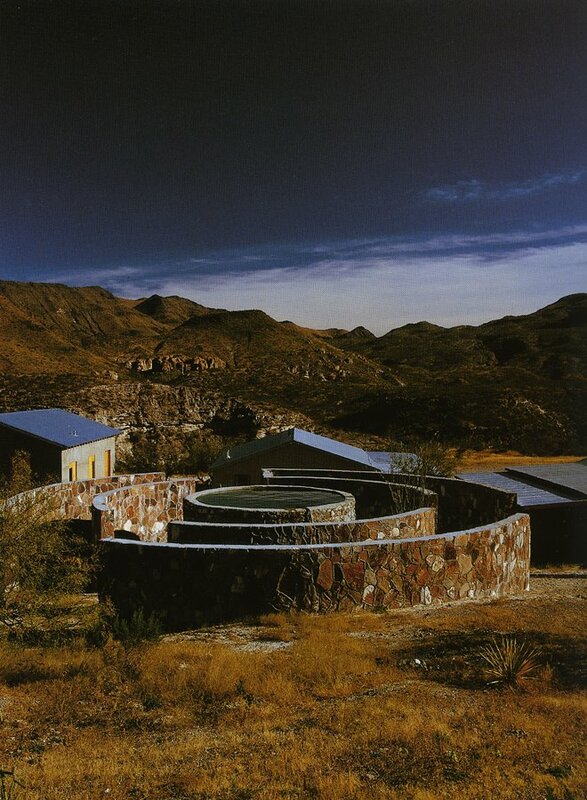 Art and architectural inspiration abounds in this unique oasis in the Chihuahuan Desert, situated about ten miles from the Mexican boarder. And much like a museum or art gallery visit can inspire you with ideas for your own adobe, this Texan town will get your creative juices flowing. Here are some of its most memorable landmarks. Marfa began in the early 1880s as a waterstop and has not grown beyond circa 2,000 residents. Yet it draws thousands of international visitors due to its minimalist art and unique vibe. 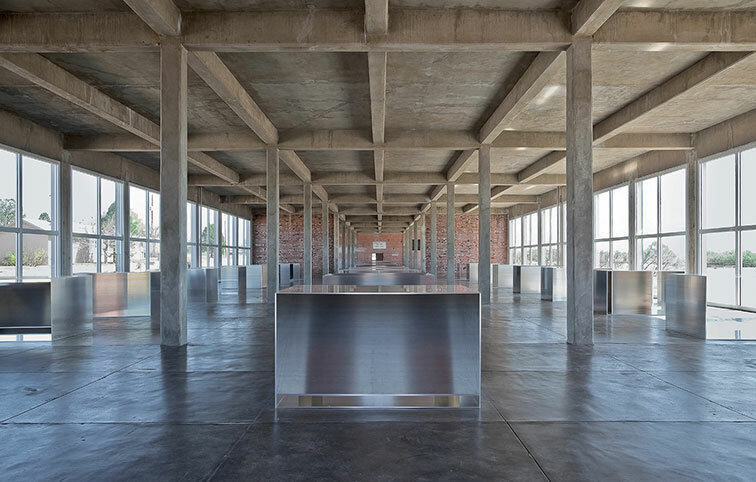 Artist Donald Judd relocated to dusty and dry Marfa in 1971 to escape the New York City art scene and so it began. Among his incredible body of work are the “15 untitled works in concrete, 1980-1984,” minimalist concrete slab cube structures basking in the unforgiving Texan sun (see top image). Renowned Swedish artist Claes Oldenburg was a good friend of Judd. 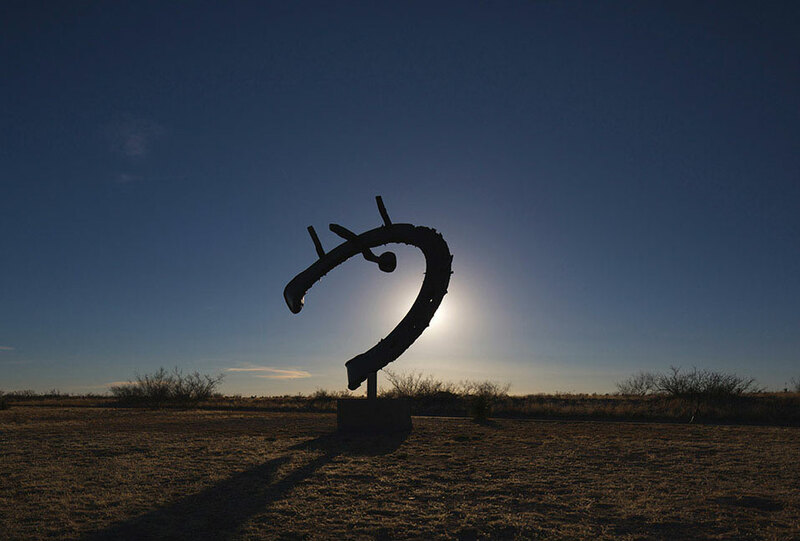 In Marfa you can admire his cooperation with Coosje van Bruggen, an equestrian sculpture inscribed with the phrase Animo et Fide (“spirited and faithful”). 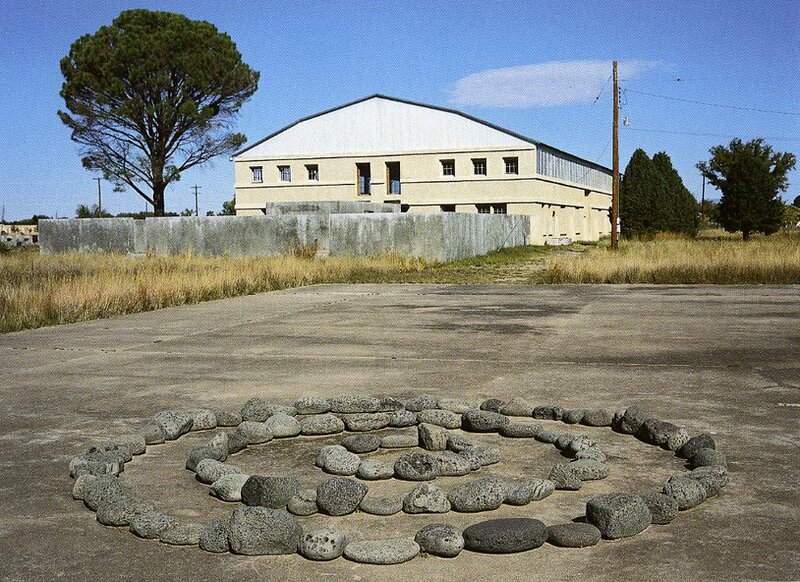 Also of note are the Arena with Richard Long’s Sea Lava Circles (see below) and Las Casas of Ayala de Chinati, one of Judd’s three ranches (see image above Oldenburg sculpture). 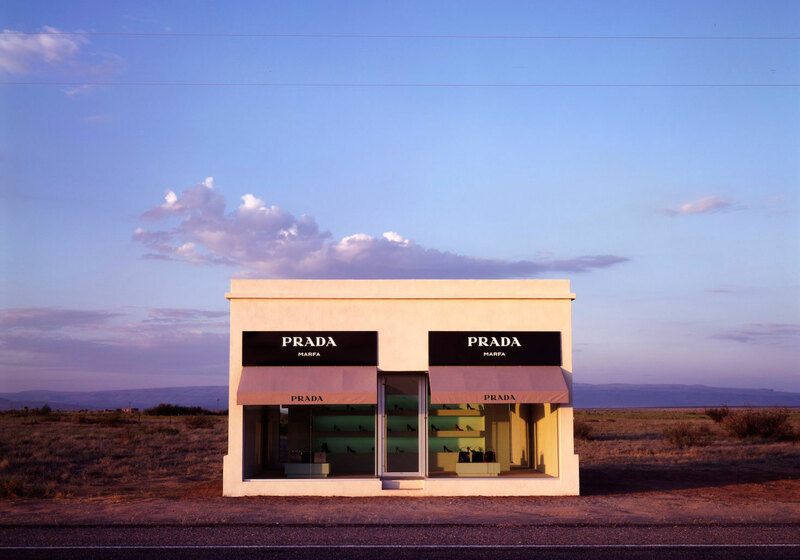 Prada Marfa is a fake Prada store one cannot enter. The permanent landscape installation by the artists Elmgreen und Dragset features actual Prada products and the real Prada logo – thanks to Italian designer Miuccia Prada’s love for the arts. 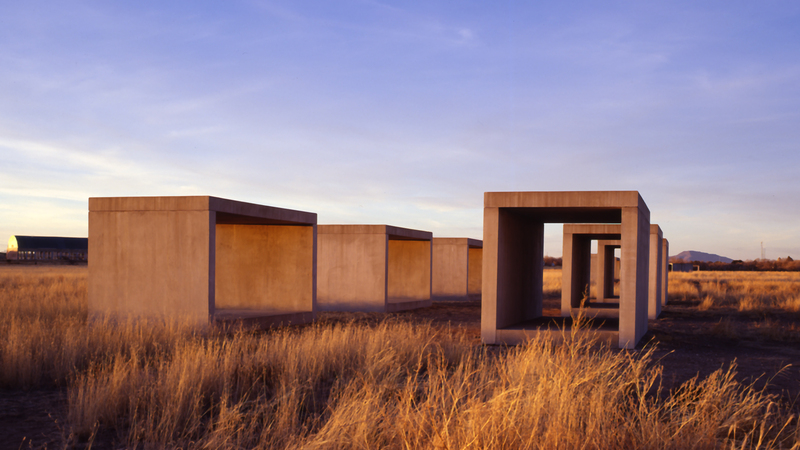 There’s nothing architectural about one of Marfa’s most unique and mysterious attractions, but we cannot omit it. The Marfa Lights are a strange natural phenomenon of dancing lights randomly appearing at night. Whether mere reflections of actual real light sources in and around town or spooky nature show, they are a Marfa must for visitors.